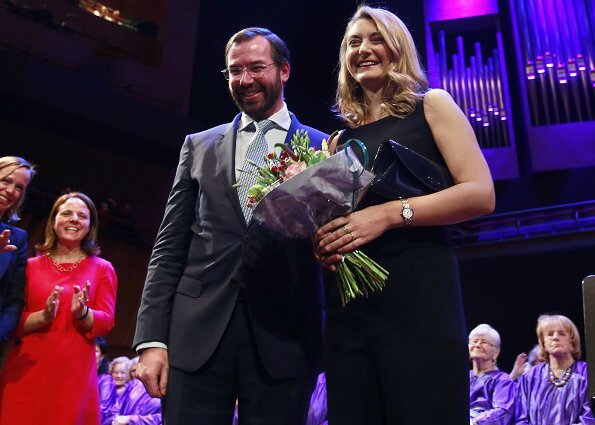 Hereditary Grand Duke Guillaume and Hereditary Grand Duchess Stéphanie attended "Gospel and Friends" concert held by EME Foundation at Philharmonie Luxembourg Concert Hall. Established in January 2009, EME Foundation (Fondation Ecouter pour Mieux s’Entendre) works in close cooperation with Philharmonie Luxembourg. The purpose of the Foundation is to entartain old, ill, disabled or marginalized people by music. 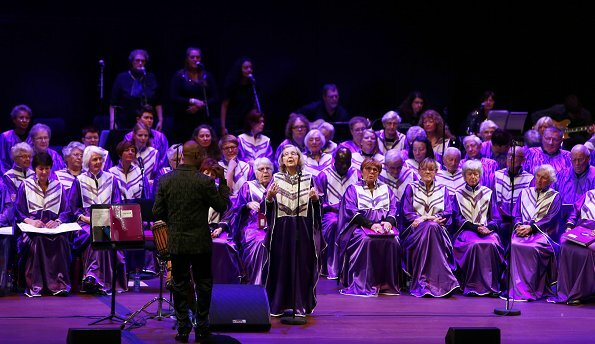 EME Chorus consists of people between the ages of 75 and 100. Grand Duke and Grand Duchess Foundation supports EME Foundation in order to present concerts to people living in nursing homes. The projects of EME Foundation are financed by donations. 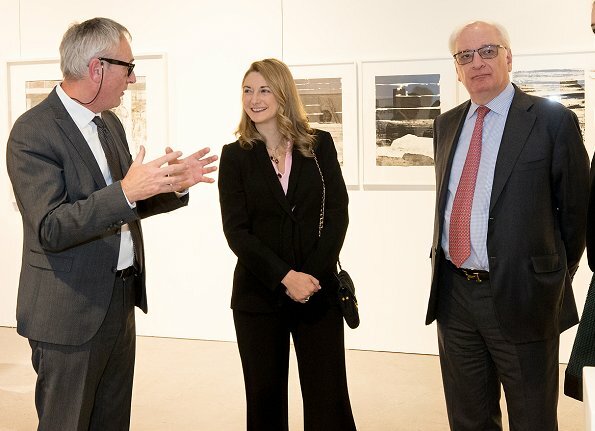 On November 7, 2017, Hereditary Grand Duchess Stéphanie of Luxembourg visited Luxembourg Art Week (Le SALON 2017 du Cercle Artistique de Luxembourg) held at Tramschapp Culture Center. 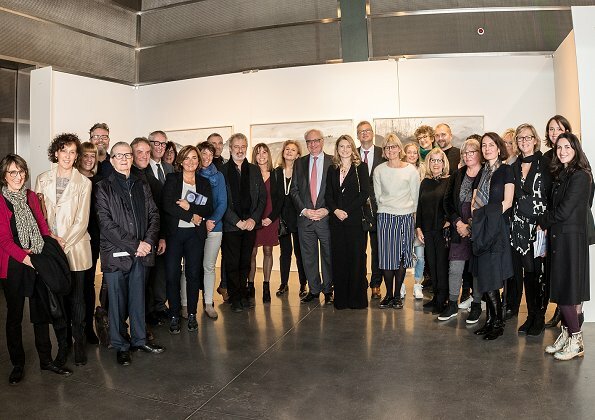 Princess Stephanie met with many artists whose works are shown in the exhibition. Dress is nice, but somebody should hide all her blazers really. Ah non, pas encore ces horribles pantalons!